I have the pleasure to present herewith the Sixth and revised edition of the English Translation of the first two Adhyayas of JAIMINISUTRAS by my revered grandfather late Professor B. Suryanarain Rao. Jaimini is held in very great esteem throughout India not only for his philosophical-aphorisms but for his astrological writings also. JAIMINISUTRAS as presented in these pages deals with a system of astrology that has no parallel in the existing methods. The Sutras are hard nuts to crack and Professor Rao has tried his utmost to explain the aphorisms as clearly and convincingly as possible. I have not meddled with either the translation or the notes as given by Prof. Rao for fear of affecting the sense. I have however added my own remarks by way of annotations wherever I felt that an aphorism or aphorisms required further elucidation. Professor Rao is the only scholar in India to have attempted an English Translation of Jaimini. Therefore the cultured public should feel grateful to him for having enabled them to have access to a system of astrological literature which is unique in its own way. My own publication Studies IN JAIMINI Astrology deals with the Jaimini system in an exhaustive manner with examples. The Translation herewith presented has been thoroughly revised by me and it is hoped readers will be highly benefited by a careful study of his book. The best Indian sciences, religion, philosophy, dramas, literature, politics and epics are the productions of the Maharishis. These are intellectual giants like the Himalayan 'Mountains and all others in the world are pigmies before them. The why of this may not be known to us, but the facts are there. Works, therefore, from the brains of the Maharishis stand unrivalled and they are colossal in nature. -Maharishi Jaimini is a great intellect and his sutras are very valuable. I make no apology to introduce them to the public in the simplest, English garb. The sutras will and have to speak for themselves. They are more than five thousand years old and valuable to command attention and respect from all classes of readers, Indian or Foreign. Those which have stood brilliantly for 5 or 10 thousand years without losing their brilliancy are real, intellectual gems which everybody should covet to possess. These five thousand years, instead of diminishing their lustre, have added further brilliancy to the sutras. The commentators have done invaluable service and all their extensive interpretations and clear arguments Cannot be incorporated or embodied in short notes of mine. If they are to be assimilated into the real explanations of the sutras, the bulk of the present volume would increase by ten-fold and cause tremendous discouragement to the students who would like to pursue the easiest way, and learn something of Jaimini sutras, which have been sealed letters to the English knowing public. Even the great Sanskrit scholars find the sutras hard nuts to crack and often they give them up for want of patience, devotion and technical difficulties in the way. I have been only a student in Astrology and kindred sciences, although I have had 55 years of study and practice. Astrology is a grand ocean, containing four hundred thousand stanzas or verses, and requires certainly centuries for its grasp and comprehension. After all our brains can take in only a few stanzas from the extensive literature, but for brilliant intellects, a knowledge of the few fundamental principles will enable them to grasp the sciences and make good progress in the course of a few years I have done my best in this English Translation, and I leave the readers to judge of my honest- labours in propounding sutras principles. Within my humble knowledge none of our learned scholars seem to have taken the trouble, or made attempts to translate these aphorisms of Maharishi Jaimini and I am proud to say I am the first in the field of translation to have undertaken this difficult task. Constructive criticisms are always welcome and I shall be grateful to them who offer such observations. Destructive criticisms must be treated with supreme contempt. One who is not an adept in a subject will be a sorry critic. He can be left alone. An Introduction to the valuable JAIMINISUTRAS will be an uncalled for luxury. The profundity and brevity of these sutras have called forth the highest admiration from all readers during the last fifty centuries. My pen is too humble to do them justice or bring their majesty before the public in that dignified form in which the original sutras stand in Sanskrit. They eloquently speak for their intrinsic value. To frame short sutras with comprehensive meanings is not given to ordinary mortals. Maharishis of Aryavartha alone have framed sutras. None else could do them. No one has done them in the world. It requires not only the command over the Sanskrit language but it also requires consummate scholarship in the Science of Astrology and kindred subject to frame sutras. The readers should particularly remember that Jyotisha in Sanskrit means light and the sense which sees and feels the light. It is the clear vision of the Vedas. Of the Vedic shadangas this is the most important. Without the help of Jyotisha, Vedas would be blind. We want clear Ugh! Over all our events, past, present, and the most desirable future. What other sciences can pretend or have pretended to do this service for mankind? From where and from what previous states of existence have we come?” What will be our success and failures in the present state and where are we going to live after the separation of Jeeva from the Doha or the Life from the physical structure? What are our thoughts, deeds and aspirations in this life, and how far do we succeed in our aims and in what manner can we do so? Do the planets influence us and are we directed under their command? If not, what have they to do with us? How do they exercise their influences over us? And how can we correctly calculate them and guide our destinies in their light, averting evils and enhancing good. Who are the most famous writers on Astrology, and what are their pretentions? Are there any other sciences which can help us in these directions? All these and many more pertinent and relevant questions are asked, both by believers and non-believers of this science. Such questions are no doubt very important and are to the point. I am proud to say that almost all such relevant or irrelevant questions on Astrology and remedies prescribed by Astrology and Dharmasastras, have been clearly and convincingly answered by me in my Introduction to the Study of Astrology in the Light of Modern Sciences. The Introduction extends over 78 pages of closely printed matter and I must refer my readers to that for fuller details and information. 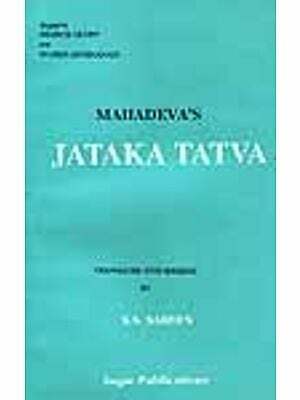 JAIMINISUTRAS have not been translated into English by any- body in India, so far as my knowledge goes. Neither is it so very easy to translate sutras into proper English. The meaning of a small sutra, sometimes may be developed into stout printed volume. English language is incapable of framing sutras and much less for their being translated into concise and short sentences. In its present form and construction the English language is quite unfit for framing Sutras. These sutras are profound, scholarly and unique in their composition and defy all competition. They comprehend a vast amount of knowledge in the shortest forms possible and have been framed graciously by Maharishi Jaimini, for the benefit of the world. He openly says so. In the end of these sutras the author remarks that all that he has written is quite true, as these truths have been propounded by the still earlier Maharishis, Pitamaha or Brahma, Vyasa, Parasara, Vasishta, Garga, Bhrigu, Surya, Chandra, Brihaspathi, Sukra, Marichi, Palaha, Pulisa, Maya and other eminent scientists. The treatment of the different Bhavas, Basis and Planets will be found a little confusing in the beginning but with some patience, diligence and practice the peculiarities of his system I readily yield themselves to our comprehension and enable us to read the full horoscopes in the light in which Jaimini has explained them for our benefit. He gives various Lagnas, Hora Lagna, Ghatika Lagna, Upapada Lagna, Varnada Lagna and so forth. His Dasas are mostly founded en Basis and Navamsas. The calculations backwards and forwards for odd and even signs trouble the reader to some extent. The extent of Dasas differs from the ordinary conceptions as explained by the general principles of Astrology. Constellations have not been given prominence. Brahma, Rudra and Maheswara Dasas are peculiar in these sutras. While the language is graceful, the interpretations are taxing, difficult and stiff. A vast amount of general knowledge is needed for the proper interpretations and comprehension of these sutras. It is asserted by some that JAIMINISUTRAS extend over 8 Adhyayas. I have seen only four and have not come across the rest. I am on the look out for them and by chance may have the good—luck to discover them in some old palace or private libraries. 'I shall translate the other two Adhyayas at an early date. The two Adhyayas, I have now translated, are complete in themselves and will be found to be of the highest value to the students in astrology. The masterly way in which the Maharishi has explained the Astrological principles, will surely make the students masters in this line. The sutras being short and sweet, can easily be committed to memory and this is the greatest advantage Sanskrit sutras possess over other languages in the world. I have quoted the original sutras in the transliteration system so that those who know Sanskrit may easily follow the sutras and my translation and notes, and correct any mistakes, which may have crept into my translations either through ignorance or oversight. I have given the original Sanskrit words and have explained them in easy English as I have understood them. Sanskrit alone commands sutras. We have Brahma- sutras or Uttara Mimamsa by Vyasa. Jaiminisutras or Poorva Mimamsa, Grihyasutras, Vyakaranasutras, and other sutras on various subjects by Maharishis. Such wonderful display of sutras is quite peculiar to Sanskrit and I have not heard of the existence of such a system of sutras in any other language in the world. Those who are better scholars than myself in Astrology. Astronomy, Sanskrit and English may point out my inaccuracies, correct them, for the benefit of the world and thus earn not only my gratitude but also of the cultured humanity in general. 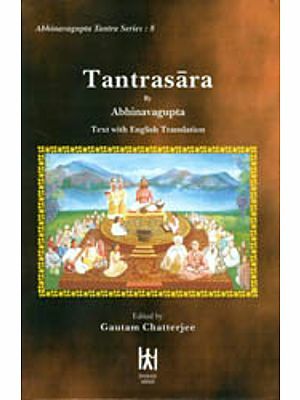 Since this translation is the first of its kind in the field on Jaiminisutras, I recommend this work to all lovers in Astrology. Those who do not believe in Astrology, will do well to read the translation and apply the principles to their own horoscopes and see how beautifully the results agree with the positions of planets. Duty to science and literature requires every sensible man, who has the good of humanity at heart, not to neglect any branch of knowledge, without fair and reasonable trials. We have no reason to reject any science, without proper study and careful application. There are some persons who say "I don’t believe in this or that science". Reflection shows they are unwise and entirely wrong. In the first place they do not represent the sum total of all knowledge in the world. The importance attached to their Ego, by themselves, is unjustifiable and untenable. I challenge, if there is any man in this world who knows all branches of knowledge or even the ABC of them. Some scientists are more narrow—minded and bigoted than the declared bigots of religion or social customs. When the best and the most intellectual Maharishis of India have not only believed in Astrology, but, have also written four hundred thousand stanzas on Astrology, will it be unreasonable to ask the readers to study the science, put it into practice and then say, what they think about it. To the sceptice, only one word of advice by me. Learn the elementary principles, take your horoscopes and of those who are dear and near to you. Read them in the light of these sutras and then say honestly what you think of this science. A handful of experience is worth ten cartloads of theories. If I am wrong correct me in the light of experience. If you are wrong correct yourself like a noble soul. Can I be fairer than this in my advice? Geneology of Maharishis by Vedavyasa The intellectual development of Maharishis by Yoga — Literature in Sanskrit—Definition of Sutra - Difficulties in Translation—Perfect Development of Sanskrit—Maharishi Jaimini. Meanings of Astrological terms defined—Aspects of Planets and Zodiacal Signs—Differences of Principles in Astrology and their reconciliation- Necessity for a study of general and special principles—Pneumonics in Sanskrit Mathematics Bad influences and their counteraction-Atma- karaka or Lord of Soul, Kalatrakaraka or Lord of wife, Naisargikakaraka or Permanent Lord- Lordships for Rahu and Ketu—Results of Atma- karaka, Amatyakaraka or Lord of minister, Bhratrukaraka or Lord of brother, Matrukaraka or Lord of mother, Putrakaraka or Lord of son, Gnatikaraka or Lord of cousins and Darakaraka or Lord of wife-Signification of Planets, Rasi, Rasi Dasas or Periods of Signs and their results- Arudha or Pada Lagna, Varnada Lagna, Ghatika Lagna, Bhava Lagna, Chandra Lagna, Hora Lagna and their uses. Planets in various houses from Pada Lagna and their results-Uchcha——Graha Samanya-Combinations for Royalty and Poverty. Determination of Longevity—Combinations for Long, Middle and Short lives——Reconciliation of different systems of Longevity-Karakayogas—— Kakshya, Hrasa or reduction or degradation—Kakshya Vriddhi or increase-Dwara Rasi, Dwarabahya Rasi and Pakabhoga Rasis explained —Increase of Life and averting death——Viparitas or Perverts in meaning—Karakayogas and Kartari-yogas detailed-Three kinds of Longevities— Alpayu, Madhyayu and Purnayu—Explanation and results of Rudra, Maheswara and Brahma Rasis —Different kinds of Yogas. Planets causing Death of Mother and Father in Shoola Dasas—Combinations for deaths due to the displeasure of Governments- Different kinds of diseases—Bites of insects and venereal complaints. Sthira Dasas, Navamsa Dasas and Prana Dasas detailed-Combinations for deaths of uncles, cousins and other relations in Shoola Dasas— Explanation Shoola Dasas or periods. Bhoga Rasis, Bhoga Dasas and Paka Dasas— Combinations for Imprisonments and Deaths in Purusha and Stri Rasis—Yogardha Dasa, Drigdasa and Trikona Dasa.